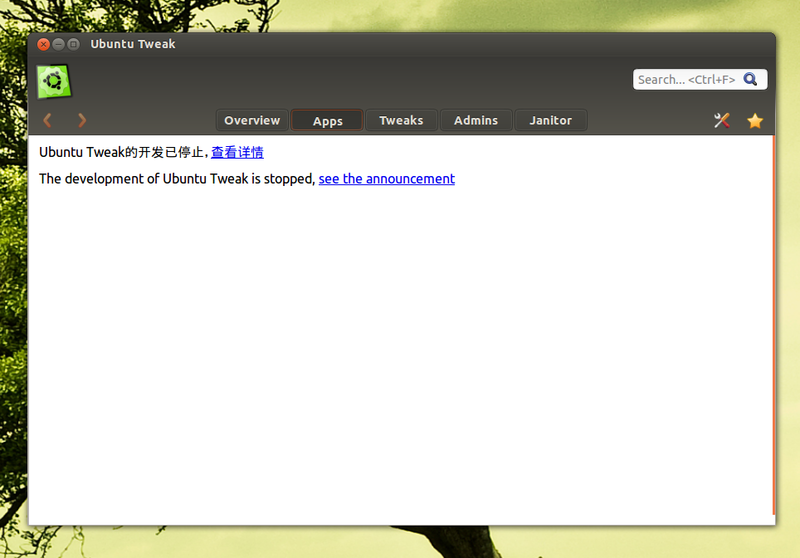 The Ubuntu Tweak developer has announced today that Ubuntu Tweak will no longer be developed. Tualatrix Chou hasn't explained what made him take this decision, except for: "making free software is not free any more". Check out the announcement here. Ubuntu Tweak is the most popular tool to tweak Ubuntu, with over 3 million downloads from version 0.4.9, via its Launchpad download page, and that's not counting the PPA installations or other sources. The application continues to work, except for the new Apps feature (which I'm guessing has something to do with stopping the Ubuntu Tweak development) which uses an online database that was disabled. But there won't be any updates / bug fixes. Update: the Ubuntu Tweak developer has changed its mind, and the development will continue. More info on the Ubuntu Tweak blog.